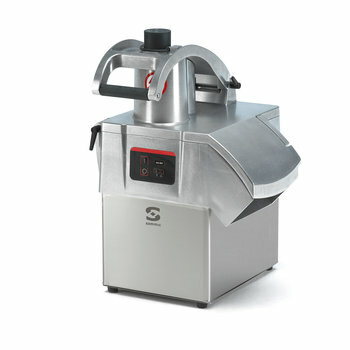 Vegetable processors with an hourly output of up to 1000 Kg. 450 Kg Vegetable preparation machine CA-301 Commercial vegetable preparation machine with an hourly output of up to 450 Kg. 500 Kg Vegetable preparation machine CA-301 VV (variable speed) Commercial vegetable preparation machine with an hourly output of up to 500 Kg. 1010215 Slicing disc FC-1+ · 1mm. · 1/32"
1010220 Slicing disc FC-2+ · 2mm. · 5/64"
1010222 Slicing disc FC-3+ · 3mm. · 1/8"
1010407 Slicing disc FC-6 + · 6mm. · 1/4"
1010400 Slicing disc FC-8 + · 8mm. · 5/16"
1010401 Slicing disc FC-10 + · 10mm. · 3/8"
1010402 Slicing disc FC-14 + · 14mm. · 15/32"
1010252 Slicing disc FC-20+ · 20mm. · 3/4"
1010247 Slicing disc FC-25+ · 25mm. · 1"
1010406 Slicing disc FCC-2 + · 2mm. 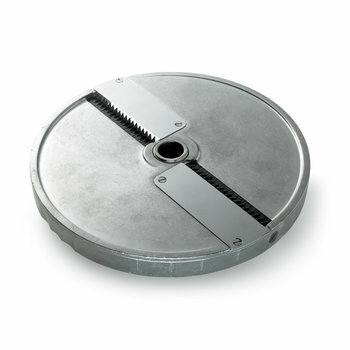 · 5/64"
1010403 Slicing disc FCC-3 + · 3mm. 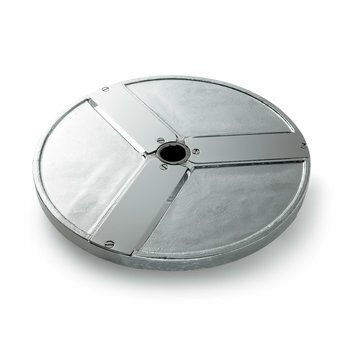 · 1/8"
1010404 Slicing disc FCC-5 + · 5mm. · 3/16"
1010295 Slicing disc FCO-2+ · 2mm. · 5/64"
1010300 Slicing disc FCO-3+ · 3mm. · 1/8"
1010408 Slicing disc FCO-6 + · 6mm. · 1/4"
1010305 Slicing disc FCO-6 · 3mm. · 1/4"
1010446 Slicing disc FCO-3C · 3mm. · 1/8"
1010205 Julienne disc FCE-2+ · 2mm. 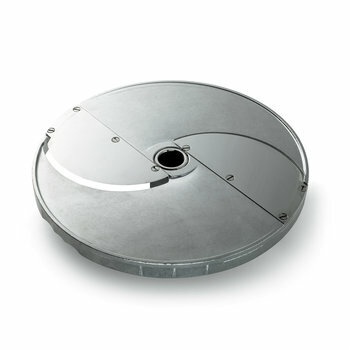 · 5/64"
1010210 Julienne disc FCE-4+ · 4mm. 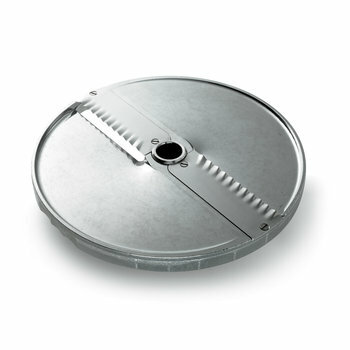 · 5/32"
1010405 Julienne disc FCE-8 + · 8mm. 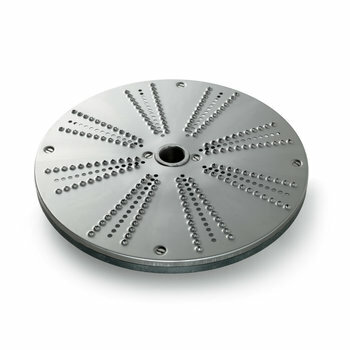 · 5/16"
1010260 Grating disc FR-1+ · 1mm. · 1/32"
1010310 Shredding disc FR-2 + · 2mm. · 5/64"
1010311 Shredding disc FR-3 + · 3mm. · 1/8"
1010312 Shredding disc FR-4 + · 4mm. 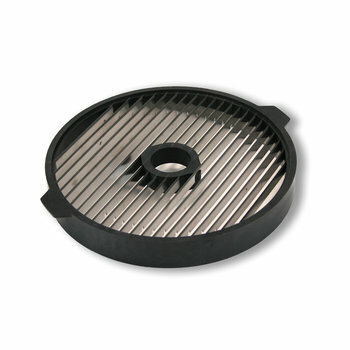 · 5/32"
1010314 Shredding disc FR-6 + · 6mm. · 1/4"
1010313 Shredding disc FR-7 + · 7mm. 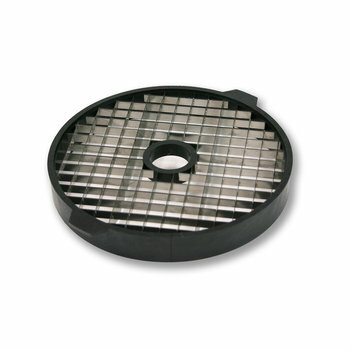 9/32"
1010262 Grating disc FR-8+ · 8mm. · 5/16"
1010350 Chipping grid FFC-8+ · 8mm. · 5/16"
1010355 Chipping grid FFC-10+ · 10mm. · 3/8"
1010340 Chipping grid FFC-10 (CA-400) · 10mm. · 3/8"
1010362 Dicing grid FMC-8D · 8mm. · 5/16"
1010365 Dicing grid FMC-10+ · 10mm. · 3/8"
1010363 Dicing grid FMC-10D · 10mm. · 3/8"
1010364 Dicing grid FMC-14D · 14mm. · 15/32"
1010375 Dicing grid FMC-20+ · 20mm. · 3/4"
1010380 Dicing grid FMC-25+ · 25mm. 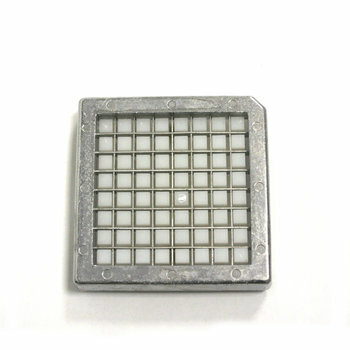 · 1"
1010330 Dicing grid FMC-10 (CA-400) · 10mm. · 3/8"
1010335 Dicing grid FMC-16 (CA-400) ·16mm. 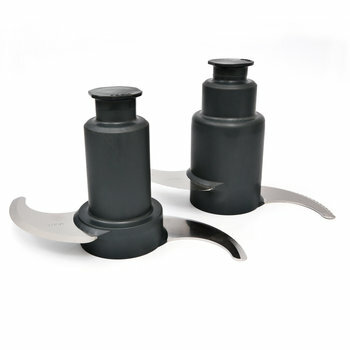 ·5/8"
1010332 Dicing grid FMC-20 (CA-400) · 20mm. 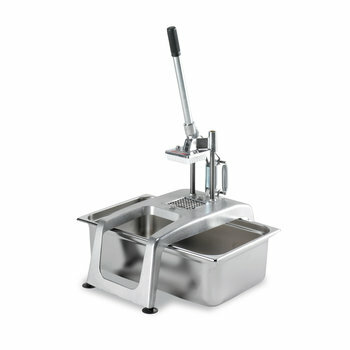 · 3/4"
5.5 l Food-Processor - Emulsifier CKE-5 Capacity of the bowl: 5 lt. (5¼ qt.). Variable speed appliance. Control panel with timer. 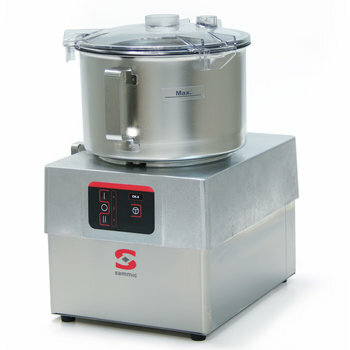 8 l Food-Processor - Emulsifier CKE-8 Capacity of the bowl: 8 lt. (8½ qt.). Variable speed appliance. Control panel with timer. 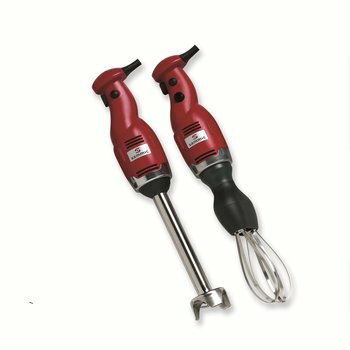 200 mm Hand blender TR-220 Stick blender specially designed to be used in up to 10 lt. / 10 qt. bowls. 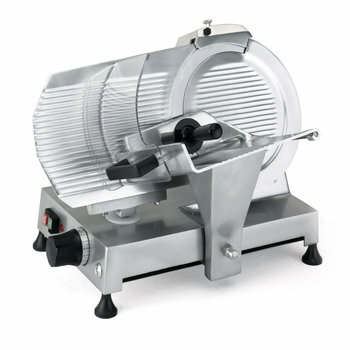 Commercial lunch meat & deli slicers for butchers, delicatessen or foodservice. 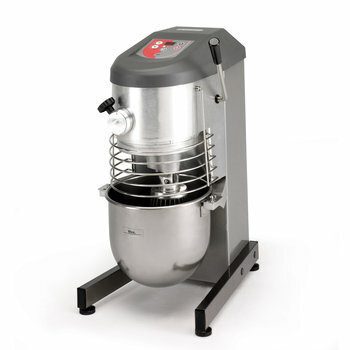 30 l Planetary mixer BE-30 Floorstanding unit with 30 lt./ 30 qt. 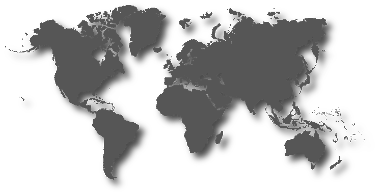 bowl.